Twinkle has been updated to version 5.4 in BlackBerry World. This update adds support for the BlackBerry Passport and BlackBerry Classic, sets a custom theme color for users on OS 10.3, and fixes a date releated bug. 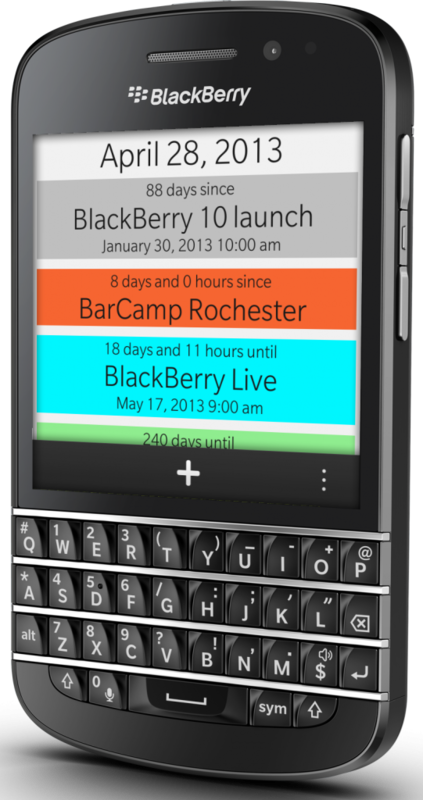 Twinkle is an app that allows you to set and keep track of upcoming and past events. Twinkle will tell you how far away an event is, and share it with a friends through social networks. The app includes an number of options for sorting or filtering your views in order to allow you to easily be able to manage and share a large number of different events. Additionally the app is a share target, so you can share calendar events direct with the app.